We’d love your help. 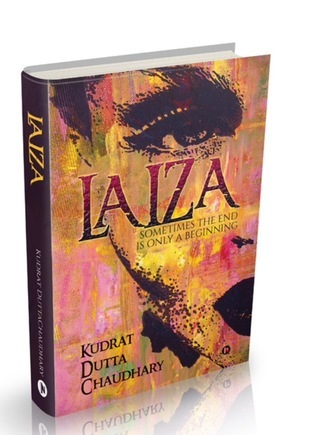 Let us know what’s wrong with this preview of Laiza- Sometimes the end is only a Beginning by Kudrat Dutta Chaudhary. In the summer of 2015, an earthquake that strikes Nepal causes destruction and the entire Nepali community perishes in the catastrophe. Nineteen-year-old Laiza's parents die in the disaster and she and her younger brother, Ratan are forced to move to Kathmandu with their uncle. The struggle to find resources and the strained relationship between Laiza and her aunt forces h In the summer of 2015, an earthquake that strikes Nepal causes destruction and the entire Nepali community perishes in the catastrophe. Nineteen-year-old Laiza's parents die in the disaster and she and her younger brother, Ratan are forced to move to Kathmandu with their uncle. The struggle to find resources and the strained relationship between Laiza and her aunt forces her to move to India. Once she reaches there Laiza stays with her aunt's cousin, Rohit, as she looks for a better future and is subsequently hired as a lady's maid by a high profile household that holds a dark secret. She soon finds herself trapped in a world she never imagined. While tackling with the sorrow of her past and present, Laiza finds friends where she least expects them- in the company of a Manipuri and a Ukrainian girl along with an Indian Army soldier of the Gorkha Regiment, whose father went missing in the Earthquake. To ask other readers questions about Laiza- Sometimes the end is only a Beginning, please sign up. You can download a free version of Laiza's ebook from https://store.kobobooks.com/en-us/ebook/laiza-1 :) Its free of cost :D Get on readers :) Have you downloaded yet? So I won this book on Goodreads a year or so ago. I haven’t read it then because it arrived only after I left the country for a year abroad. For the giveaway I thank the author immensely. I was touched by the message she sent with the book and I hoped with all my heart that I like the book so I have nice things to say back to her. It is not the case I’m afraid. You see, the story is original. It is quite interesting to go inside the head of a trafficked woman, and being where I am from, it’s not So I won this book on Goodreads a year or so ago. I haven’t read it then because it arrived only after I left the country for a year abroad. For the giveaway I thank the author immensely. I was touched by the message she sent with the book and I hoped with all my heart that I like the book so I have nice things to say back to her. It is not the case I’m afraid. You see, the story is original. It is quite interesting to go inside the head of a trafficked woman, and being where I am from, it’s not even a subject we’re familiar with. So I was excited to go in this new world. I liked the story, of the girl who was stuck in a life she never chose and rose above after all she’s been through. But the writing ruined everything. It’s quite shallow. I mean, I read the book at a time where I was leaving my family behind and going somewhere new. I should’ve related to Laiza, or at least the first part of her journey. But the writing was so immature the reading of the book ended up being a chore I had to go through. The whole book is about how Laiza grew from the naïve little girl who knew nothing about the world to this strong although being deeply damaged young lady. You’d expect the book to be emotionally overloaded with everything that went through her head. But all there was were little descriptions of how she felt and philosophical quotes here and there. There were even so many grammatical mistakes I had to wonder, if it skipped the writer, how it could skip the editor. And being a non-native English speaker myself, I recognized a lot of figures of speech from my language translated to English while they are not even used in the language. And then, there was the struggle to insert feminist quotes here and there on how women are strong and should empower each other. That would be a nice message if it belonged to the story and didn’t feel so pushed in between. It didn’t just come natural. And then the writer goes against herself and says that whatever a woman can possibly do, she’s nothing until she secures a man to give sense to her life. I wouldn’t mind either points of view, but I’ll need the writer to make up her mind. I am afraid the book was way less than I expected but I believe the writer would do a way better job next time. A little over a year ago, I met Kudrat for an author interview even though I had not read the book yet. However, I found the narrative so engaging that I really wanted her interview up on this site. Why? Because she was a young student, just a year or two older and I really needed to pick her mind. Later I finally got the opportunity to read Laiza. Set in the aftermath of the 2015 Nepal Earthquake, Laiza is the fictional story of a young woman was displaced. While the novel is “fiction”, I believ A little over a year ago, I met Kudrat for an author interview even though I had not read the book yet. However, I found the narrative so engaging that I really wanted her interview up on this site. Why? Because she was a young student, just a year or two older and I really needed to pick her mind. Later I finally got the opportunity to read Laiza. Set in the aftermath of the 2015 Nepal Earthquake, Laiza is the fictional story of a young woman was displaced. While the novel is “fiction”, I believe there is a lot of truth in this story. Not one but hundreds of women must have suffered the same fate as Laiza does in this book. Kudrat, from the beginning, develops Laiza into an endearing character. That is to say, you fall in love with her the instant you read about her- her childlike nature, innocence and her undying belief in love. And when her world comes crashing down as she is trafficked into India, you feel for her. More so, you are constantly cheering for her to fight the odds. As a writer, I feel the author has wonderfully tackled such a sensitive subject and put forth for all to read. However, I kind of feel that at places the book lacked description. I am a visual reader and I like to imagine the whole scene in my mind. But there were times that the writing wasn’t sufficient enough to conjure up those images. Nonetheless, there are moments of sheer brilliance in the book so you are not disappointed. Before penning down the review for this book, I want to congratulate Kudrat for this really amazing book. She has done a fantastic job with this book and I am really proud of her. Laiza- Sometimes the end is only a beginning - It is one of the best books I've read this year! I am sure it'll stay with me for the longest time. We all are aware of the kind of destruction a natural calamity is capable of but are we aware of what the people who go through all this suffer from? Are we aware of their problems? Are we aware of the fact that some people find happiness in the misery of others? This book is a emotional masterpiece. The plot revolves around the courage and strength of a girl, despite the hardships she faces. Good work. Congratulations.